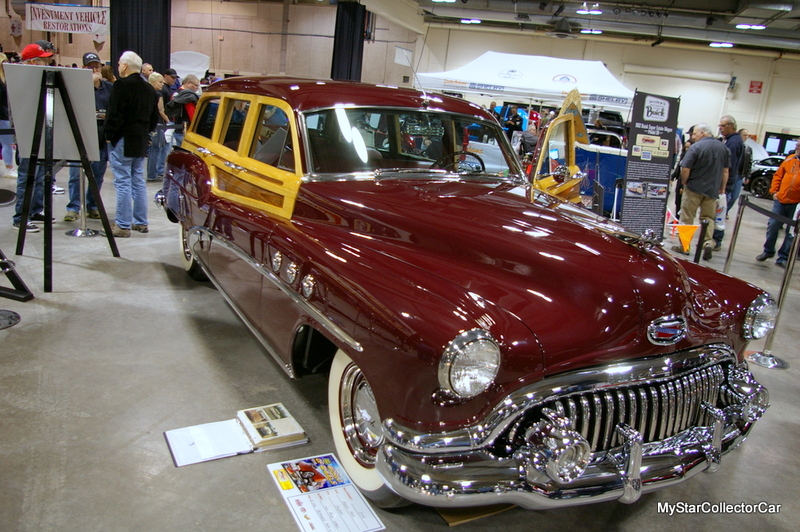 A 1952 Buick Super Estate Wagon Model 5 received plenty of attention at a World of Wheels/Autorama indoor car show. 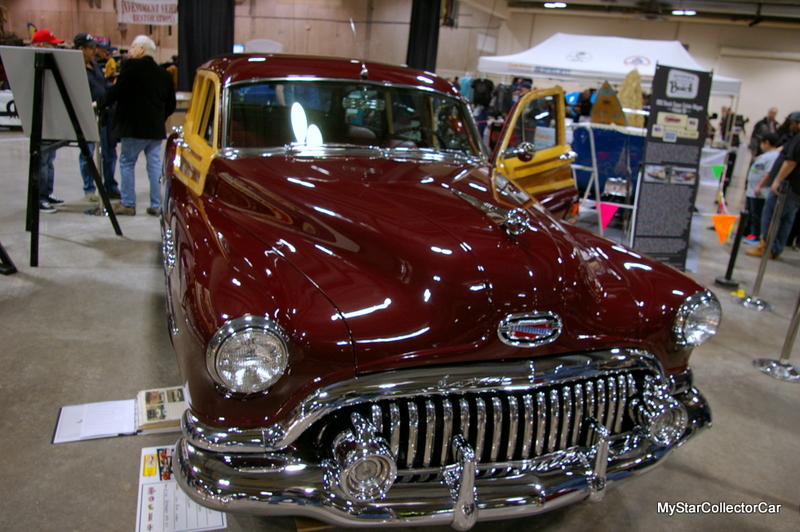 MyStarCollectorCar attended the show and simply followed the crowd to this rare Buick wagon. 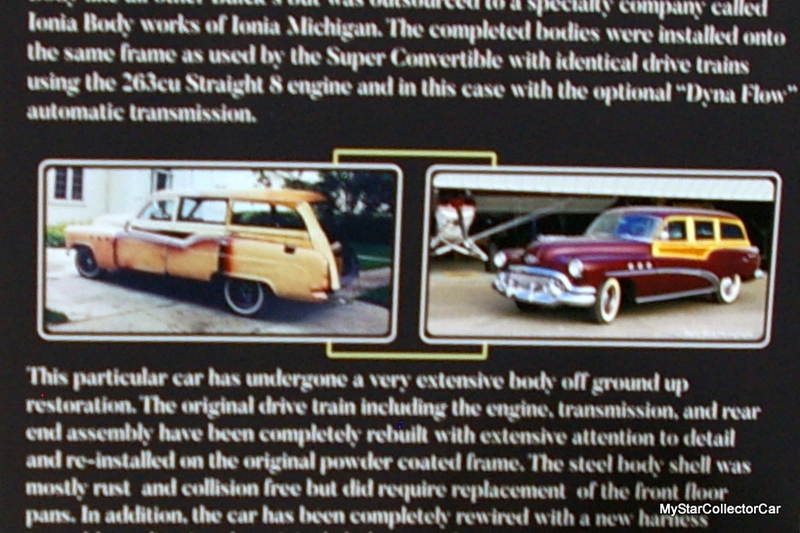 The throng of curious spectators ranged in age from young-to old enough to remember this car’s era. 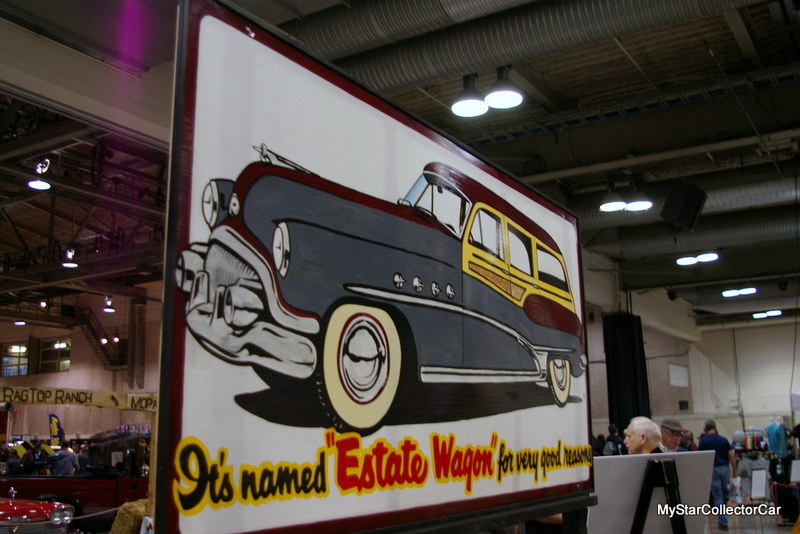 However, few of the onlookers likely remember this rare wagon model in traffic because owner Rob Rees told MSCC that only 1641 Buick Super Estate Wagon Model 5 cars were built in 1952. The opportunity to actually see Rob’s car in the flesh (or metal/wood) was a treat that was not lost on MyStarCollectorCar during our interview with the man. Rob breathed life back into the wagon over a 25 year restoration process that brought the car back to immaculate condition. 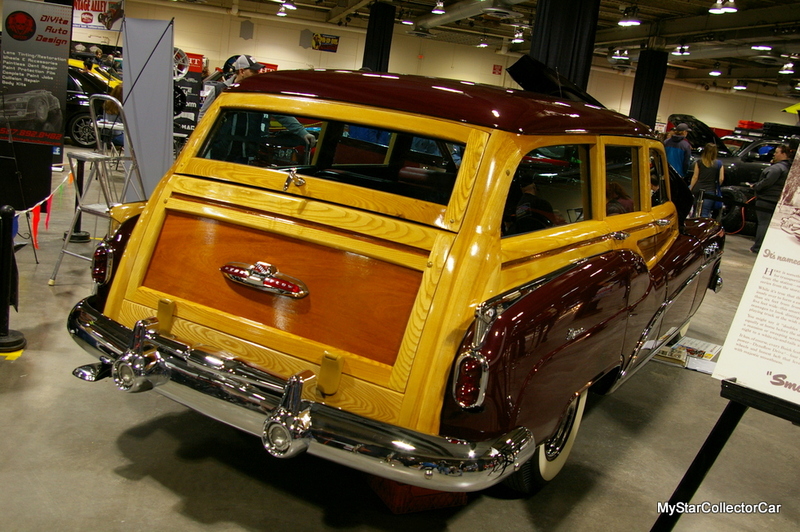 The restoration was not easy, given the rarity of the station wagon, but Rob was able to keep it original when he hit the finish line. 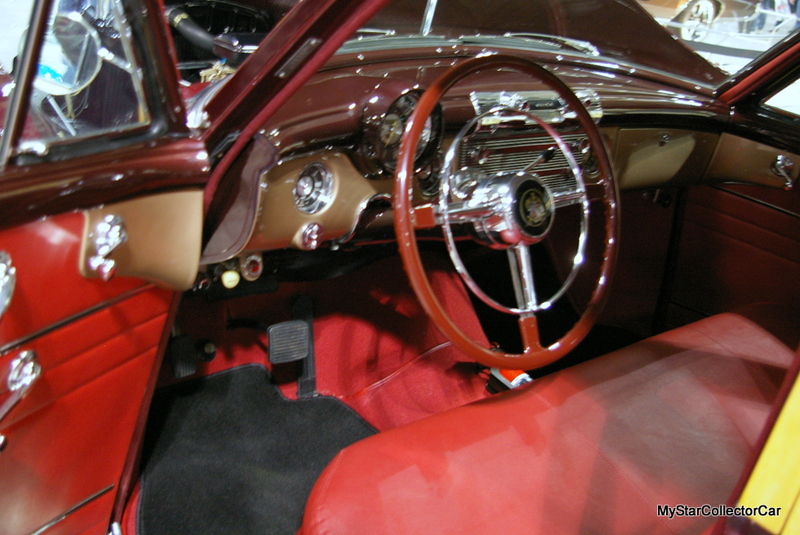 The car was completed in January, 2018 after Rob purchased the Buick in 1993. 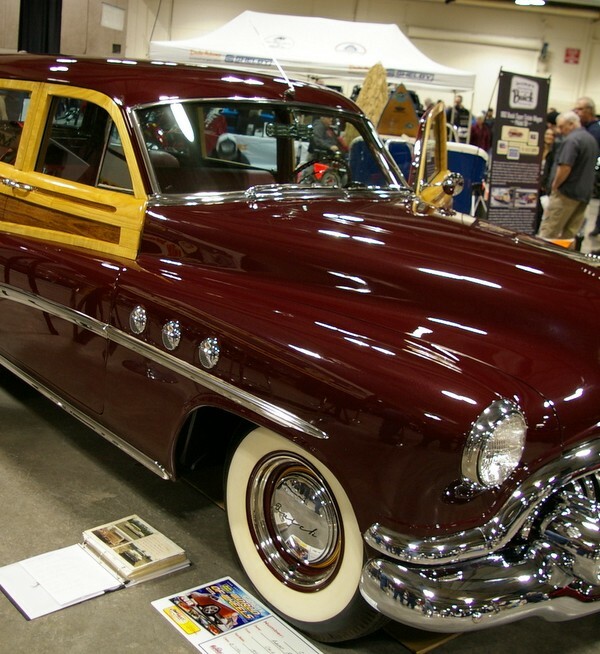 The Buick Woody wagon is a combination of wood and metal so Rob needed to apply his entire skill set when he tackled the restoration. He also needed to hunt down missing pieces on a rare car that offered few part sources to Rob. He also had to assemble missing pieces during a pre-Internet era for him, so Rob racked up plenty of plenty of time and long distance phone charges on the phone. The hunt was successful and Rob was able to track down NOS (New old stock) trim pieces for the car, as well as a complete set of new/old hubcaps and beauty rings. Rob is a self-described “big time hands-on guy” who applied his sizable skill set to the restoration. 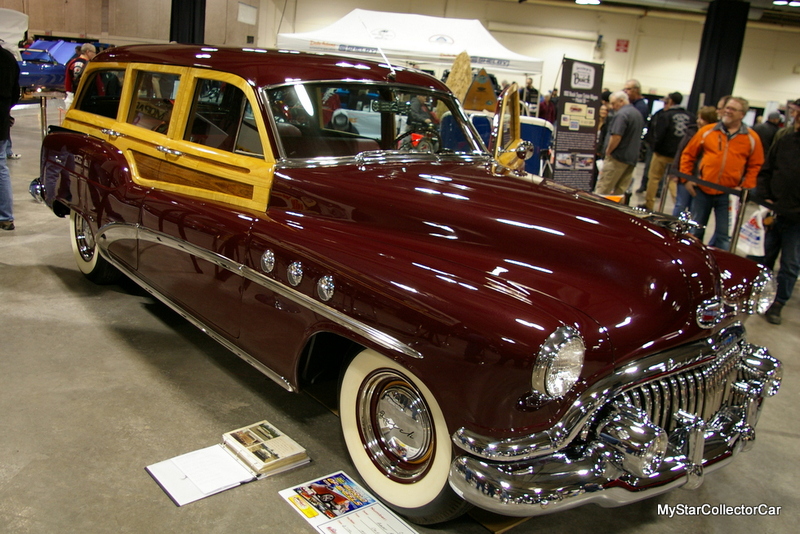 As mentioned, the Buick is a Woody wagon so it required a “rare interface between wood and metal”, in Rob’s words, during the process. 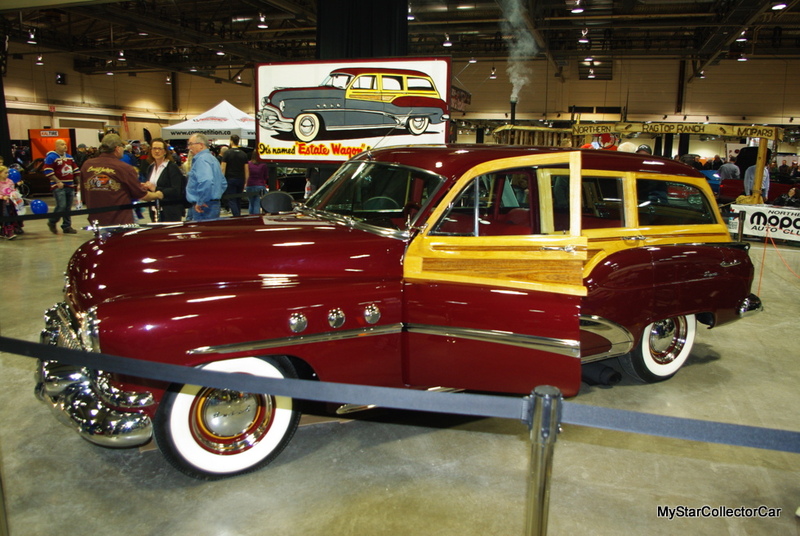 Fortunately, Rob was the right man for the job and the result was a stunning 66-year-old Buick Woody wagon that captured the interest of everyone at the show. 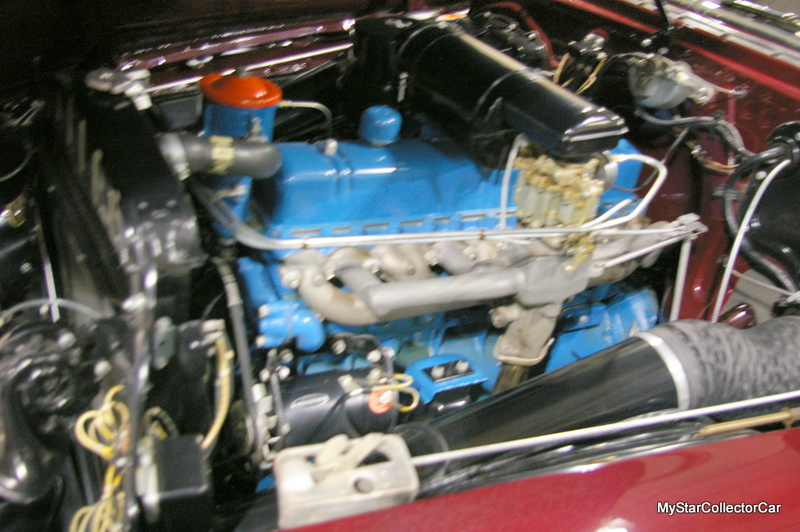 25 years was ample time for Rob to get things right on the Buick and he covered every detail. 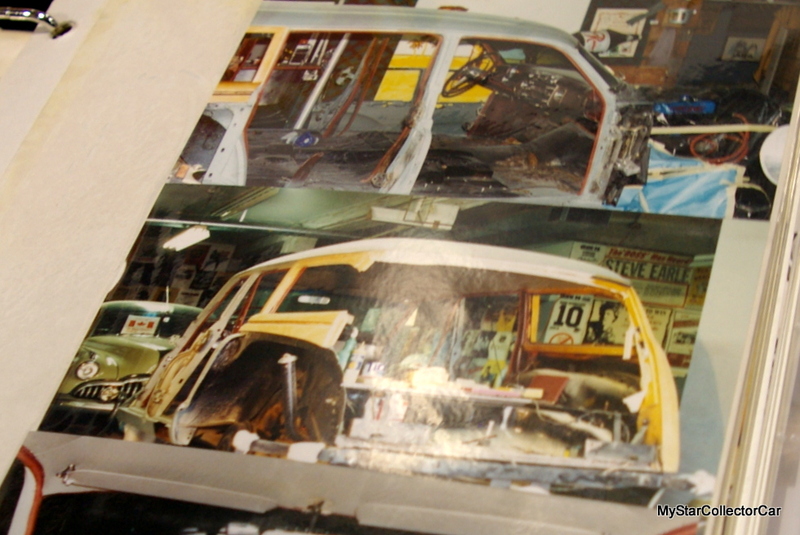 The car was completely rebuilt during the past 25 years and the list of non-rebuilt components on the Buick would be extremely short to non-existent. Rob has supreme confidence in his car and “would not be afraid to drive it anywhere”, in his words. The Buick’s original Straight 8 engine and Dynaflow automatic transmission were rebuilt to a high standard so Rob can proceed with confidence behind the wheel any time the spirit moves him. 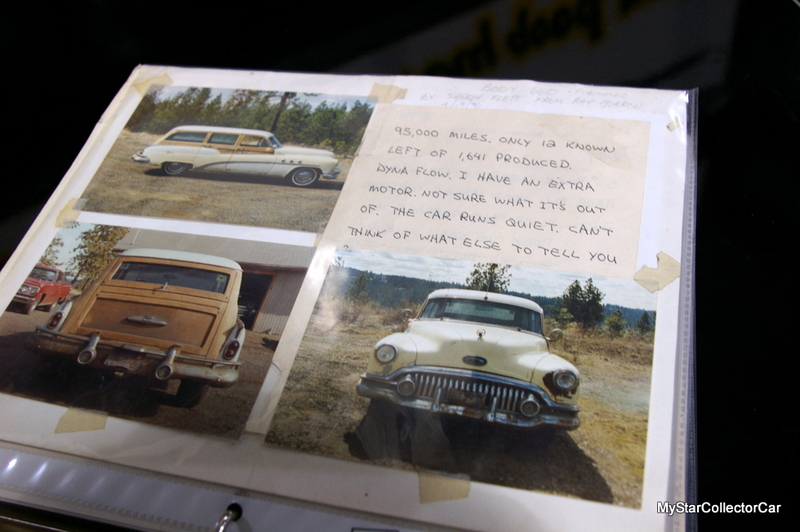 2018 promises to be a shakedown for Rob and his Buick wagon because he will have an opportunity to reap the rewards of a long restoration where “everything is done”, according to its understandably proud owner. The only thing left is Rob’s ability to answer lots of questions from the many admirers of his completed Buick. We at MyStarCollectorCar truly believe that Rob is up to the task.